A1669 FOTO. WK. 2. VETERAN UDSSR ROTE ARMEE MAJOR, MEDAILLEN. 1956. A1667 FOTO. WK. 2. VETERAN UDSSR ROTE ARMEE UNTERLEUTNANT. 1954. A1664 FOTO. WK. 2. VETERAN UDSSR ROTE ARMEE OBERLEUTNANT, MEDAILLE. 1954. A1673 FOTO. WK. 2. 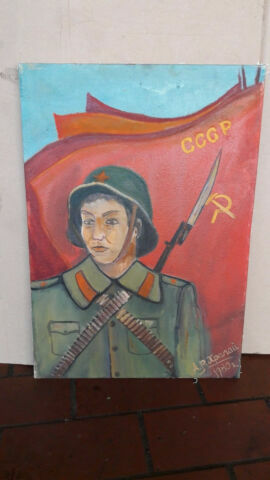 VETERAN UDSSR ROTE ARMEE GARDE MAJOR, ORDEN 1952. A1666 FOTO. WK. 2. VETERAN UDSSR ROTE ARMEE LEUTNANT. UM 1950. A1682 FOTO. WK. 2. VETERAN UDSSR ROTE ARMEE GARDE UNTERLEUTNANT, . UM 1950. A1693 FOTO. WK. 2. VETERAN UDSSR ROTE ARMEE KAPITäN ORDEN, UM 1950. A1686 FOTO. WK. 2. VETERAN UDSSR ROTE ARMEE UNTERLEUTNANT, 1952. A1684 FOTO. WK. 2. VETERAN UDSSR ROTE ARMEE UNTERLEUTNANT, 1951. A1662 FOTO. WK. 2. VETERAN UDSSR ROTE ARMEE LEUTNANT, 1951. A1677 FOTO. WK. 2. VETERAN UDSSR ROTE ARMEE OBERLEUTNANT. UM 1950. A1659 FOTO. WK. 2. VETERAN UDSSR ROTE ARMEE LEUTNANT, 1953. A1646 FOTO. WK. 2. VETERAN UDSSR ROTE ARMEE UNTERLEUTNANT. UM 1950. A1645 FOTO. WK. 2. VETERAN UDSSR ROTE ARMEE OBERLEUTNANT, PANZER-TRUPPEN. 1949. A1642 FOTO. WK. 2. VETERAN UDSSR ROTE ARMEE OBERLEUTNANT, ORDEN. 1952. A1640 FOTO. WK. 2. VETERAN UDSSR ROTE ARMEE PANZER TECHNIK GARDE LEUTNANT. 1952. A1647 FOTO. WK. 2. VETERAN UDSSR ROTE ARMEE MAJOR ARTILERIE, ORDEN. 1953. A1649 FOTO. WK. 2. VETERAN UDSSR ROTE ARMEE LEUTNANT. UM 1950. A1656 FOTO. WK. 2. VETERAN UDSSR ROTE ARMEE MAJOR, ORDEN, MEDAILLEN, UM 1950. A1655 FOTO. WK. 2. VETERAN UDSSR ROTE ARMEE LEUTNANT, 1956. A1654 FOTO. WK. 2. VETERAN UDSSR ROTE ARMEE UNTERLEUTNANT, ORDEN 1951. A1696 FOTO. WK. 2. 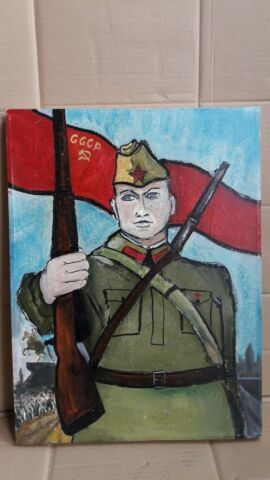 VETERAN UDSSR ROTE ARMEE MAJOR, UM 1950. A1698 FOTO. WK. 2. VETERAN UDSSR ROTE ARMEE KAPITäN , MEDAILLEN, UM 1950. A1904 FOTO. WK. 2. VETERAN UDSSR ROTE ARMEE OBERLEUTNANT, MEDAILLE, 1954. A1907 FOTO. WK. 2. VETERAN UDSSR ROTE ARMEE MAJOR, ORDEN, UM 1950. A1909 FOTO. WK. 2. VETERAN UDSSR ROTE ARMEE UNTERLEUTNANT, 1968. A1910 FOTO. WK. 2. VETERAN UDSSR ROTE ARMEE GARDE KAPITäN, UM 1950. A1903 FOTO. WK. 2. VETERAN UDSSR ROTE ARMEE GARDE LEUTNANT, MEDAILLE, 1950. A1911 FOTO. WK. 2. VETERAN UDSSR ROTE ARMEE OBERLEUTNANT, 1955. A1902 FOTO. WK. 2. VETERAN UDSSR ROTE ARMEE MAJOR, MEDAILLE, 1951. A1900 FOTO. WK. 2. VETERAN UDSSR ROTE ARMEE OBERLEUTNANT, ORDEN, 1952. A1699 FOTO. WK. 2. VETERAN UDSSR ROTE ARMEE GARDE UNTERLEUTNANT, 1965. A1901 FOTO. WK. 2. 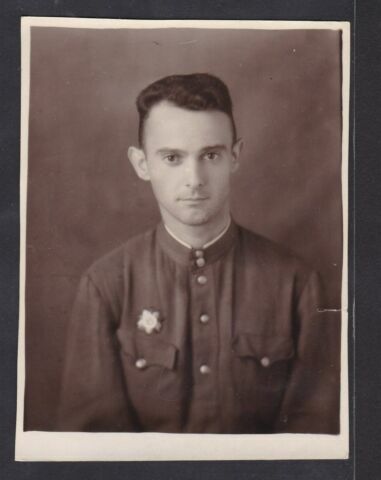 VETERAN UDSSR ROTE ARMEE KAPITäN, MEDAILLE, UM 1950. A1660 FOTO. WK. 2. VETERAN UDSSR ROTE ARMEE OBERLEUTNANT, ABZEICHEN, 1956. A1651 FOTO. WK. 2. VETERAN UDSSR ROTE ARMEE OFFIZIER. UM 1950. A1685 FOTO. WK. 2. VETERAN UDSSR ROTE ARMEE LEUTNANT, 1955. A1663 FOTO. WK. 2. VETERAN UDSSR ROTE ARMEE KAPITäN, ORDEN, UM 1950. A1678 FOTO. WK. 2. VETERAN UDSSR ROTE ARMEE LEUTNANT. 1956. A1681 FOTO. WK. 2. VETERAN UDSSR ROTE ARMEE LEUTNANT, SPANGE. UM 1950. A1683 FOTO. WK. 2. VETERAN UDSSR ROTE ARMEE UNTERLEUTNANT, 1955.